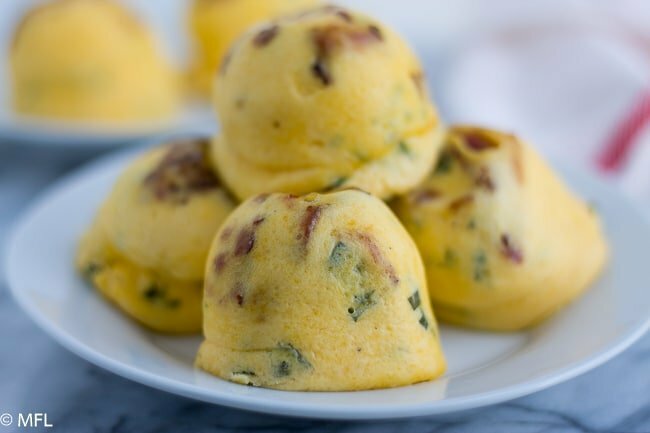 Here’s an easy and delicious way to prepare the Sous Vide Egg Bites Recipe in the Instant Pot. A creamy and delicate egg all in two bites…or one if you want to gobble it up. This post may contain affiliate links, please read my full disclosure here. recipes. But Gosh darn it, that Instant Pot is amazing. I’m used to making soups, stews, and one pot meals in it but I was intrigued when I discovered that I could make eggs in the Instant Pot. No, not boiled eggs (which I hear is a great way to make a ton of boiled eggs) but creamy delicious egg bites. Are these made with a real life sous vide machine? machine. So why call it that? 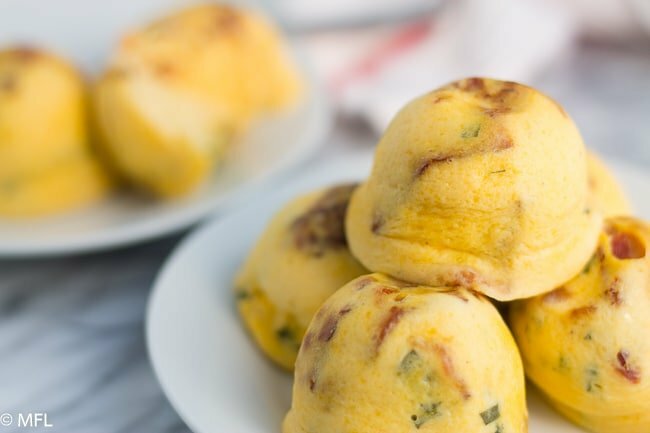 Well the first I heard of these is when Starbucks added it to their menu and called it “Sous Vide Egg Bites.” They apparently use the sous vide machine but the Instant Pot gets the same velvety, creamy texture. for Christmas. How awesome is it that we can make this wonderful breakfast at home and save some coins when we head to our favorite coffee shop. These are the kind of a breakfast snack that can be made ahead of time. 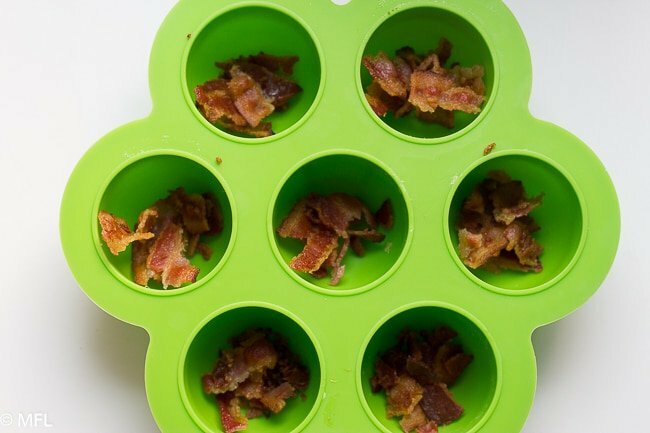 The whole family will love this grab and go breakfast. (this should have come with your instant pot). As you can see, the texture of these eggs are creamy. This recipe isn’t for you if you like your eggs hard or fried. 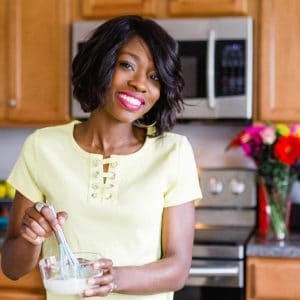 But if you like creamy eggs and don’t have the patience to make Gordon Ramsey’s creamy scrambled eggs in a skillet (my favorite way to make them), then this Sous Vide Egg Bites Recipe is for you. 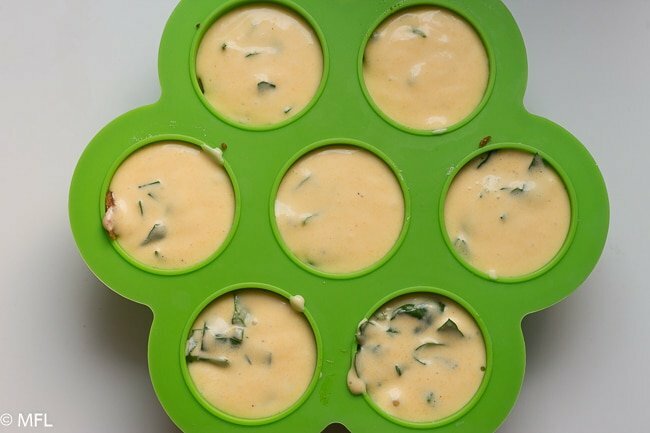 The best thing about these egg bites, other than the fact that they are creamy and delicious is the fact that you can hide veggies in them. I keep it simple with just adding spinach to mine. I also add bacon. Can I call bacon a veggie? 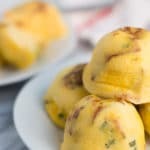 I hope you all enjoy these “Sous Vide” egg bites as much as we do. Until the next recipe. 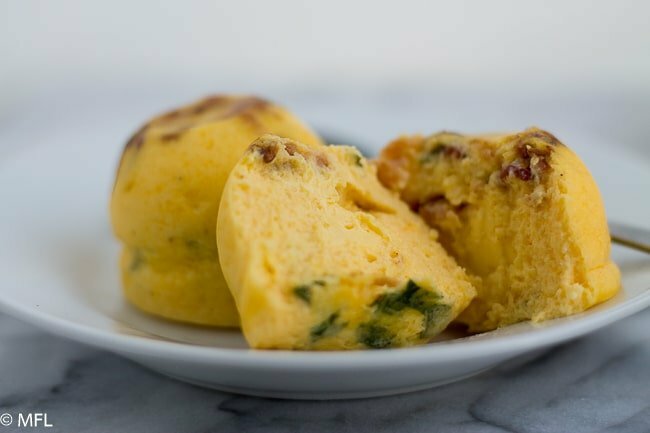 Here's an easy and delicious way to prepare the Sous Vide Egg Bites Recipe in the Instant Pot. A creamy and delicate egg all in two bites...or one if you want to gobble it up. Add bacon pieces to bottom of silicone baby food maker in the molds. Set aside. 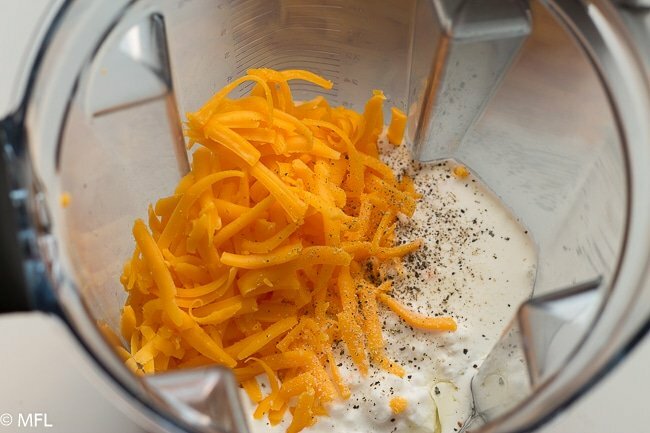 Add eggs, cheddar cheese, cottage cheese, heavy cream, hot sauce, and salt & pepper to a blender. 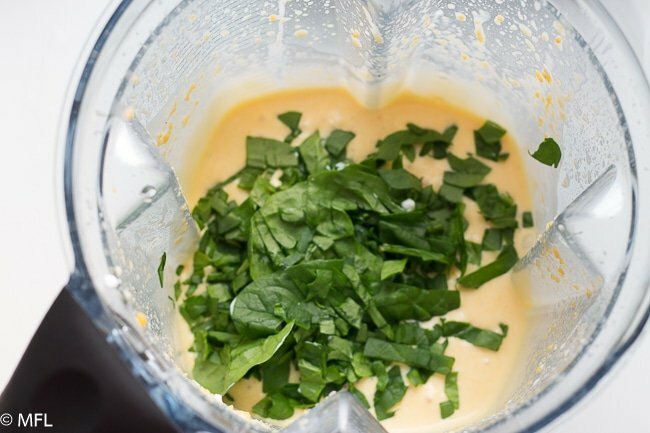 Blend until smooth consistency. Stir in chopped spinach. Pour egg mixture into baby silicone baby food maker, covering bacon. Cover baby silicone food maker with foil paper. 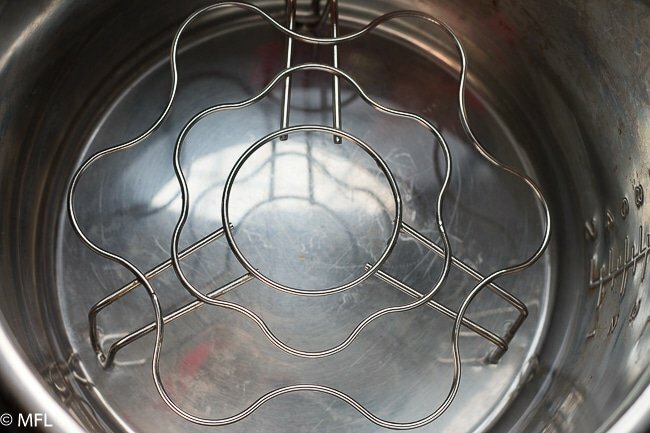 Add 1 cup of water to bottom of Instant Pot and place trivet inside. Place baby food maker on top of trivet in Instant Pot. *See note about creating a foil sling or use tongs for easy removal. Cover Instant Pot, making sure valve is set to "sealing." Select "Steam" and set timer to 9 minutes. Once the time timer goes off, allow it to natural release for 10 minutes. Then switch your valve to "venting" to do your quick release to remove any remaining pressure. Open your Instant Pot and remove silicone baby maker. Allow to stand for a few minutes and turn eggs over onto a dish. Enjoy immediately or refrigerate for up to 4 days. You can create a foil sling for easy removal of the baby silicone mold in the Instant Pot. To create the sling, take a 20 inch long piece of foil paper and fold it into thirds. Place this in the Instant Pot, on the trivet and place the baby silicone mold on top of that. 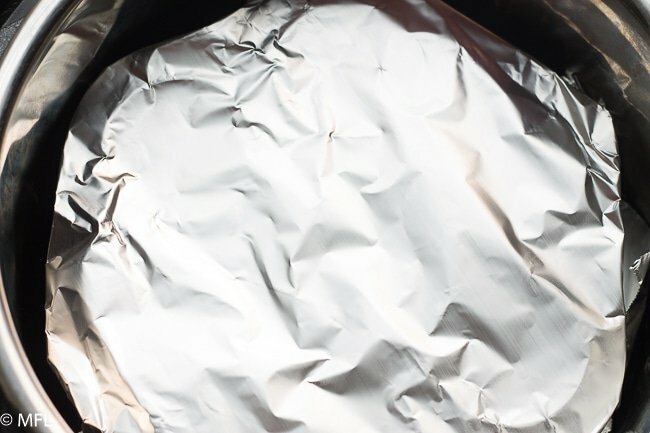 When ready to remove from the Instant Pot, grab the foil sling. Or in the alternative, you can use tongs to grab the side of the silicone mode for removal. Have fun with the add ins and use whatever cheese you may like. 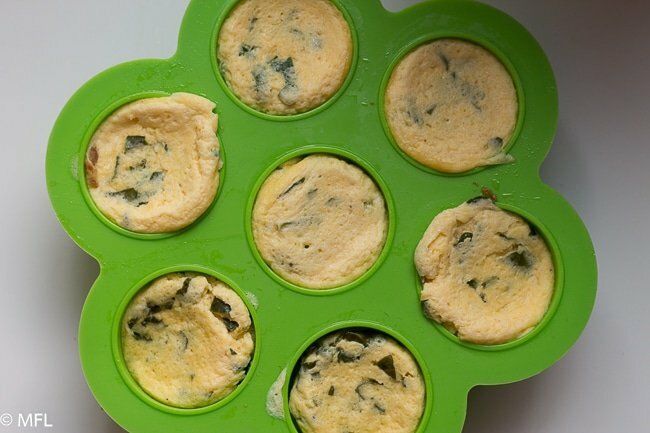 Allow the egg bites to sit after removing from Instant Pot to have them firm up a bit. I don’t spray my silicone molds and my eggs slide right on out. I highly reccomend this silicone mold. These can be reheated easily in the microwave. If refrigerated, try 30-45 seconds in the microwave. if frozen, try 60 -90 seconds. Re-heat time will depend on the wattage of your microwave. Prepare your bacon. I like to cook mine in a 425 degree oven for about 12 minutes until they are nice and crispy. 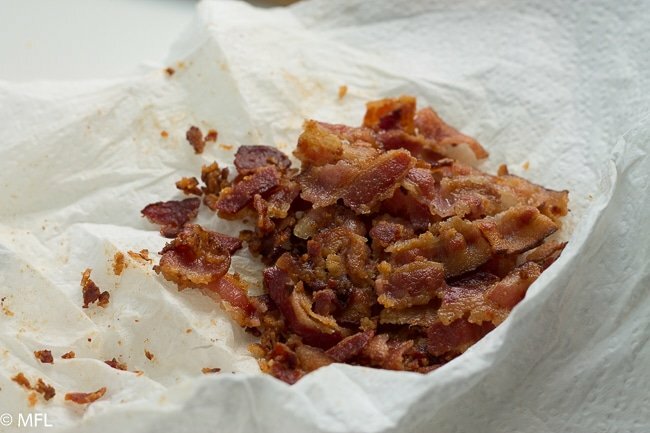 Remove bacon and drain on paper towel and break into smal pieces. 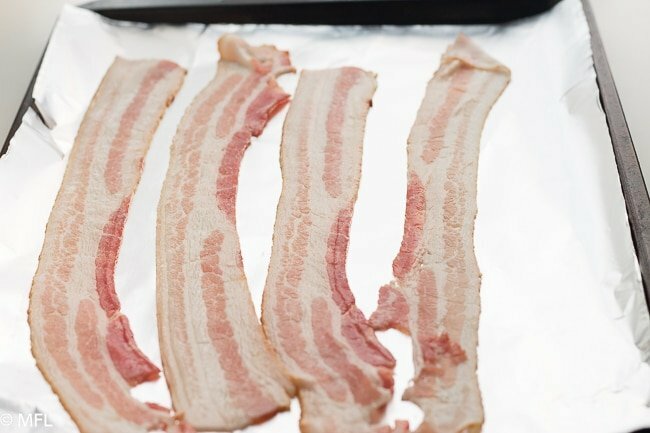 Place bacon pieces in bottom of silicone mold. 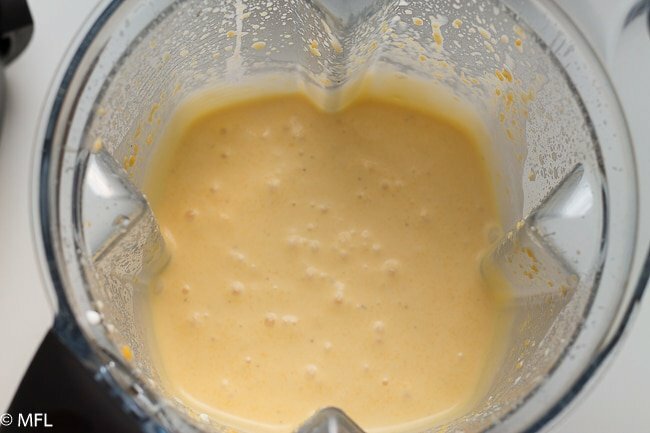 Add eggs, cheddar cheese, cottage cheese, heavy cream, hot sauce, and salt and pepper to blender. Pour into silicone mold and cover with foil paper. Place 1 cup of water and trivet inside of Instant Pot. Place silicone mold on top of trivet. 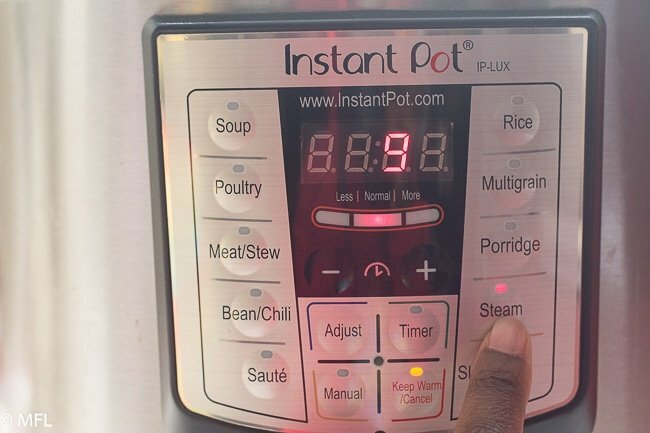 Set Instant Pot to “Steam” for 9 minutes. Cover. Once Timer goes off, allow it to natural release for 10 minutes, then quick release. Remove silicone mold from Instant Pot and allow to rest for a few minutes, about 5. Turn eggs over onto dish. Enjoy immediatley or refrigerate for later. Enjoy! Adapted from Foodie & Wine. I used only a cup of cheese (lightly packed) but followed everything else. Just as good as Starbucks.